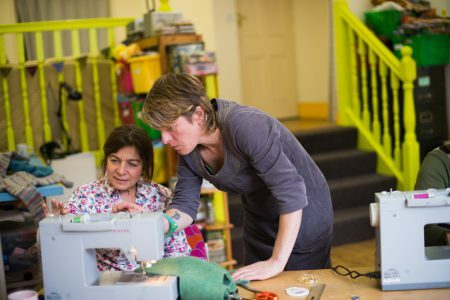 If you feel you would benefit more from one to one time, we offer tuition in both sewing and knitting at the workshop. If you want to learn the very basics we can help you get going either on our sewing machines or you can bring your own. If you want to brush up on your skills and learn new ones or help with complete projects just give us a call and book some time with one of our tutors. One to one tuition is £20 per hour for one person and £25 per hour for 2 people. If you’d like a to make a group booking for 3 or more people please contact us to arrange. We offer daytime and evening sessions for one to one tuition, and have a range of projects and patterns that you can use in your sessions. There are discounts available for block bookings.